These are my best friends for life, my family. 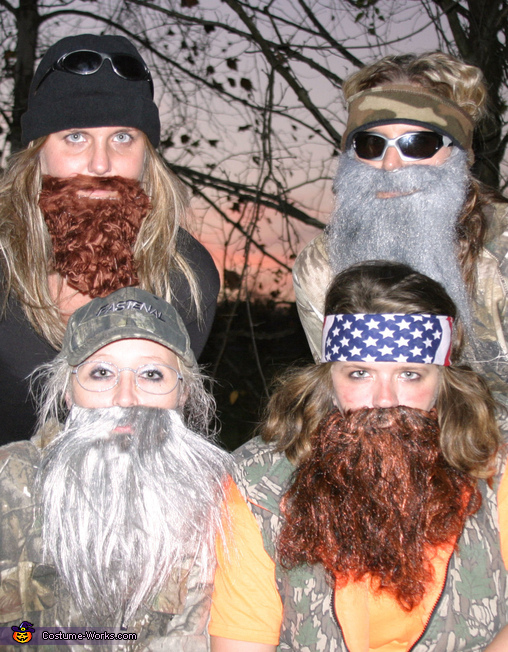 So what better costume, then the Duck Dynasty/Commander Men!! Amanda Boss is dressed as Jace, Desiree Boss as Phil, Jennifer Case as Uncle Si, and myself (Melischa Smart) as Willie. Please call me on my cell at 501-517-2339 concerning Duck Dynasty Costumes. Where did you get the beards from?